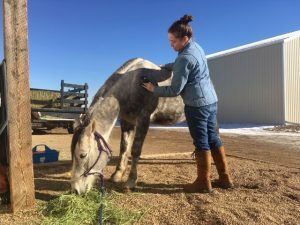 Sweet Odin had a tough start in life – when Colorado Horse Rescue saved him from auction he was an unhandled stallion who didn’t even know how to be led with a halter, was desperate for the company of other horses, and certainly didn’t trust humans. Once in quarantine, he ran, and ran, and ran. Because of that, he lost a bit of weight and developed several minor hoof abscesses. As soon as the quarantine period was over, the training team, supervised by Sarah Hofkamp stepped in, and Odin’s life finally began to change. As he gained rudimentary halter skills, he lost his stallion accouterments, had his first hoof trim, and finally got to move in with some equine friends. 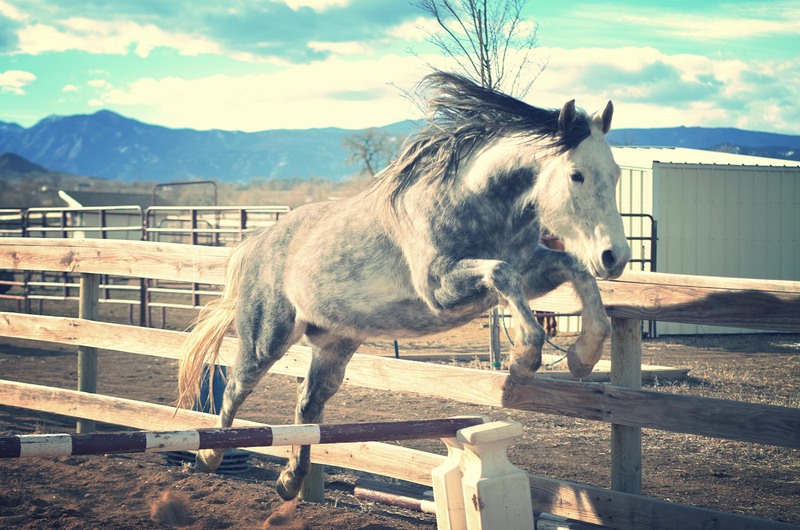 He quickly bonded with another horse with trust issues – an older draft named Dart. 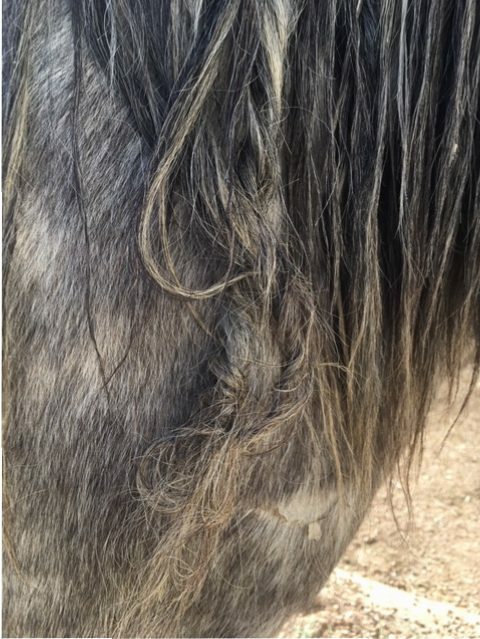 In many European countries, folklore describes elaborate knots in horse manes called fairy knots. Fairies play amongst the hair while riding the horses overnight, leaving the tell-tale evidence behind. Little Odin was the proud owner of some fairy knots until he could stand patiently to have them gently untangled. Just more evidence that this little Welsh pony is magical! After just a few short months of training, Odin is a new pony! Though he still has a long way to go, he is starting to trust people, enjoy grooming and play time, all while learning basic ground manners. He is a lightning-quick learner and truly wants to please. 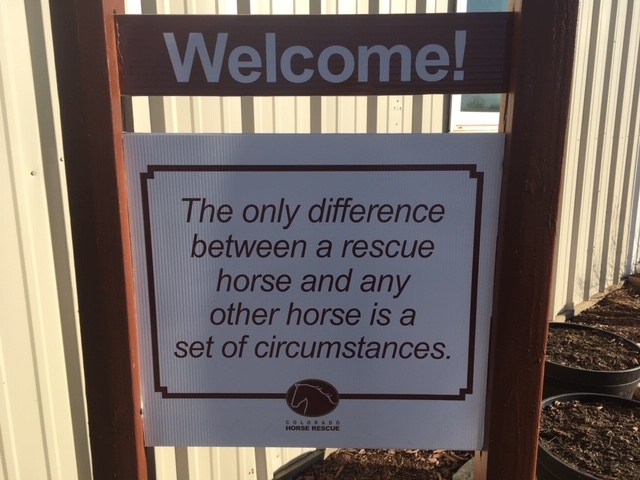 With continued expert (and patient) training at Colorado Horse Rescue, we expect him to make someone a FANTASTIC pony in short order. We invite you to follow along with his journey to a forever home!